Locality: United States, Colorado, Boulder, Fourth of July Valley above Eldora. Habitat: Abundant through the Engelmann Spruce woods, in partial shade. 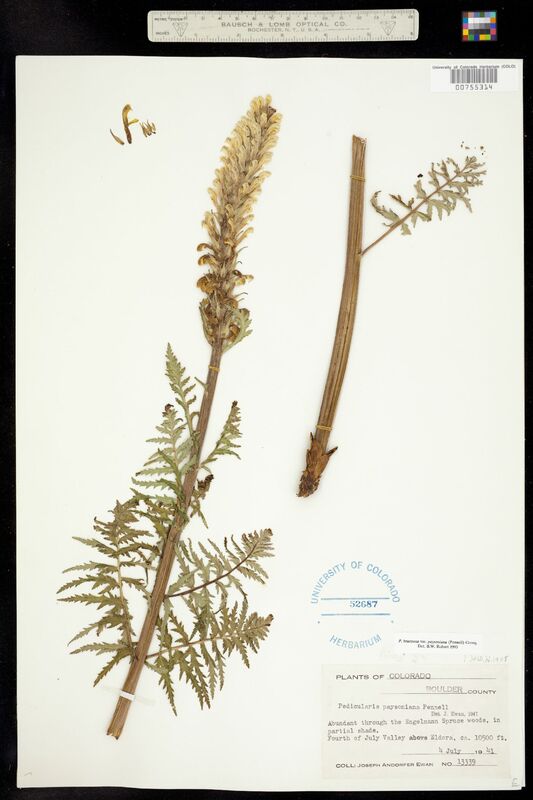 Occurrence Remarks: Pedicularis paysoniana Pennell, det. by H.D. Harrington, 1948. 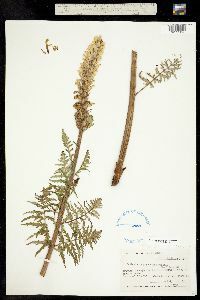 / Pedicularis bracteosa var. paysoniana (Pennell) Cronq., det. by B. W. Robart, 1993. Original ID: Pedicularis paysoniana Pennell. Det. by J. Ewan, 1947.